Biff's Funky Scrappy Blog: Dude!! Courtesy of my friend Sue, our wee man is now officially a little rock dude! This babygro rocks big time! 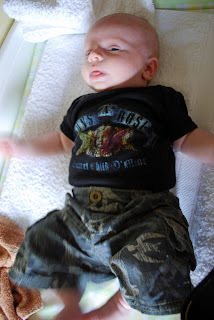 Now we just need to get him a Ramones tshirt to go with his baby converse!! !